Apple LISA (Local Integrated System Architecture) was named after Steve Jobs’ first daughter, and was created in effort to give consumers a modern version of a conventional design. Only 100,000 units sold, proving to be unpopular due to its high price and few software applications. It was rather slow and unreliable, but was the first computer with Graphical User Interface. 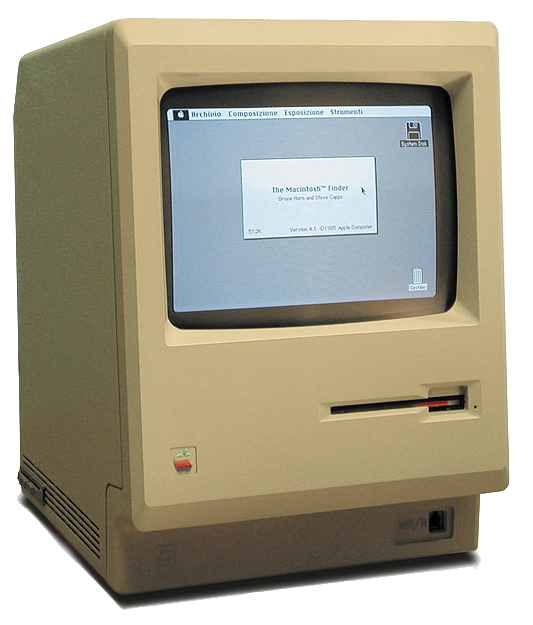 The Macintosh 128k contracted fame during its legendary SuperBowl XVIII commercial debut. This was the first Apple computer with a CD-ROM drive, and stereo speakers. It mostly sold to educational institutions. 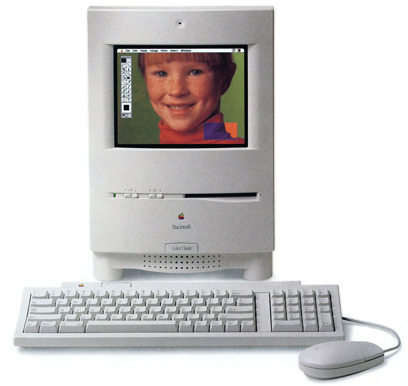 The Macintosh Color Classic was the first Mac that had a color display on the screen. The iMac G3 was referred to as “the computer for the new millennium,” and was designed with the internet in mind. The iMac G4 was built around design where you could rotate and angle easily, giving it the nickname “iLamp. At first, the eMac was intended for educational buyers, but it was made available to the general public after one month due to it’s popularity. The iMac G5 is the first high speed computer with PCI express, and is considered to be the first example of what modern day computers look like. 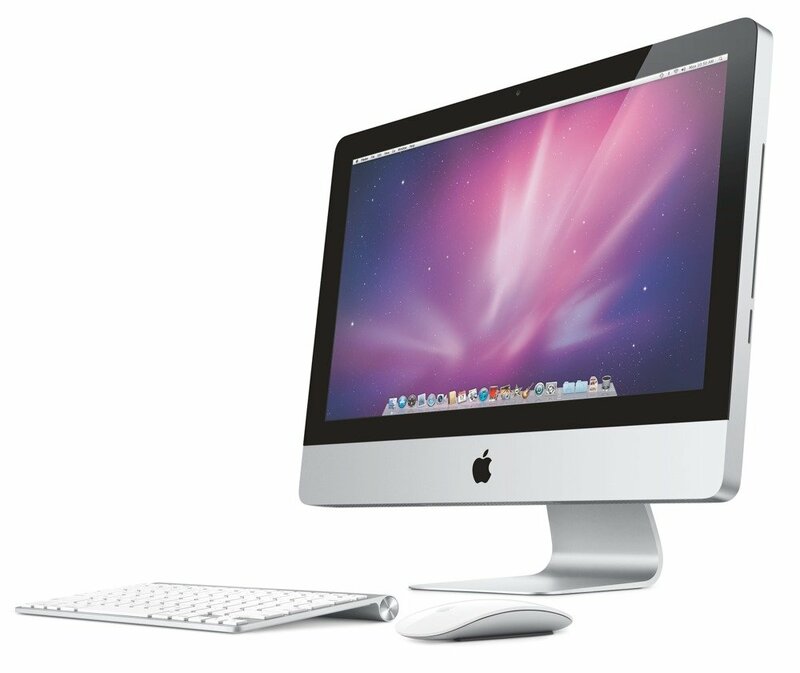 The iMac is very similar to the iMac release in 2004, but it had a full body redesign with the first aluminum shell, which is the design Apple still uses today. For decades, Apple has changed the way we interact with our devices, and has produced numerous revolutionary gadgets. They were the first company to give consumers “user-friendly means of interacting with a computer,” introducing the graphical user interface to their first personal computer (Haslam). The release of the first personal computer in 1984 was also the “first mass-market computer to be networkable,” making innovative technology available, that normally would have cost tends thousands of dollars, for an affordable consumer price (Haslam). Apple has pioneered the way for other companies, being the first to transform the computer from an “imperceptible mass of vacuum tubes stationed primarily at universities and government offices to a manageable-sized machine for ordinary people” (Dove). Apple has continued to be a relevant company decades, and has produced the “only personal computer with a 30-year history” (McCracken). Apple’s platform for personal computers greatly impacted the rest of the industry, providing other companies with big shoes to fill every time they came out with a new product. Apple has set a precedent for companies such as Microsoft, who took “core principles” from Macs to inspire their own technology (Gruman). In fact, although the design and functions of the computers produced by Apple today have vastly progressed and sophisticated, they are actually based on the original OS software that was used in the personal computers first created in the 1980s. Apple has continued to evolve, and constantly strives to provide the best end-user experience for its consumers. In 1983, Apple came out with the first small personal computer, the LISA. Put on the market to attract the general user, the LISA ended up being unpopular due to the high prices and very few software applications. The LISA also ran rather slow, and consumers found it to be unreliable. Compared to the LISA, Apple’s next computer, the Macintosh 128k, had a smaller screen, but was much more affordable. Sales shot up after the famous commercial that debuted during Super Bowl XVIII. It had a completely different design than the LISA, one that can be seen throughout many models that follow. Nine years later, Apple designed the Macintosh LC 500 series, which caught the attention of education institutions. 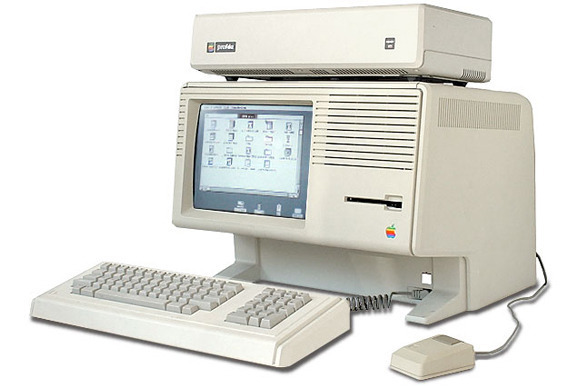 Overall, this computer has the same design as the Macintosh 128k but had many added features, such as stereo speakers and a CD-ROM.A few months later, Apple released the Macintosh Color Classic, the first personal computer designed by Apple that had color display, setting it apart from all of it’s predecessors. By 1998, Apple had completely redesigned their personal computer with the iMac G3. This design was aimed for the new millennium and was designed for Internet use. Apple enlarged the screens by 5 inches, got rid of the classic beige shell and offered the computer in thirteen different translucent colors. The refurbishing of the physical appearance was credited to be a large piece of the success with this computer when it came to popularity amongst consumers. 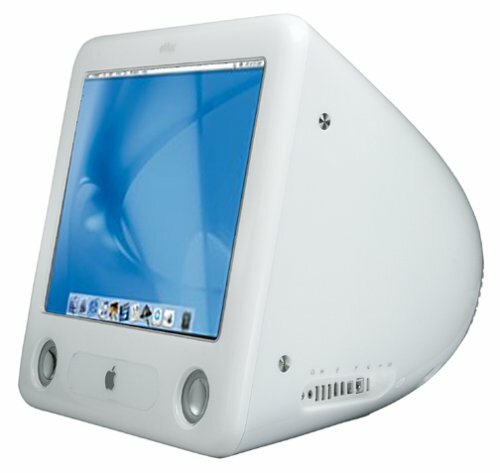 In 2002, Apple modernized yet another computer, changing from bulky colored monitors to a thin, white panel and screen with a moveable arm attached to a dome base. This sleek new computer, which looked nothing like any of Apple’s prior designs, allowed for a rotating LCD screen giving users easy viewing from any angle. Two years later, Apple created the iMac G5, an all white monitor, which looked similar to the body of the iMac G3. The iMac G5 was the first high speed computer, and opened the door for what Apple’s newest technology resembles today. Since introducing the aluminum shell to their iMacs 2007, Apple has not come out with a major design change. Mac’s and other Apple products have become increasingly popular due to the social implications of owning one of these devices. Apple products are thought to be more desired than their competitors due to their sleek appearance and efficient software. The Apple brand holds a lot of brand equity; combined with the stylish and visually pleasing computers, people are willing to pay a premium for Apple products. From the start of the company, Apple has marketed their company and brand to be a certain type of lifestyle, and it’s a concept people are buying into, making their products even more popular. Consumers are attracted to the lifestyle that Apple promotes through technology: imaginative, innovative, passionate and many other desirable qualities. People are willing to wait in line for hours to get Apple’s new products. Marc Gobe, marketer and author of Emotional Branding, even went as far to say, “without the brand, Apple would be dead… The brand is all they’ve got. It’s the power of brand that keeps them alive” (Kahney 1). Apple products are also associated with wealth. Their computers cost thousands of dollars, and while consumers could buy a similar computer (in terms of software and functions) that costs far less, Apple’s brand equity has sky-rocketed to make consumers feel that their product is of a higher class.